How has your week been so far? Since I will film some videos this Blogmas, I thought it would be nice to start by getting to know each other more. I would love for you to ask me whatever comes to mind, as long as the questions are polite and respectful. Can't wait to answer all your questions. 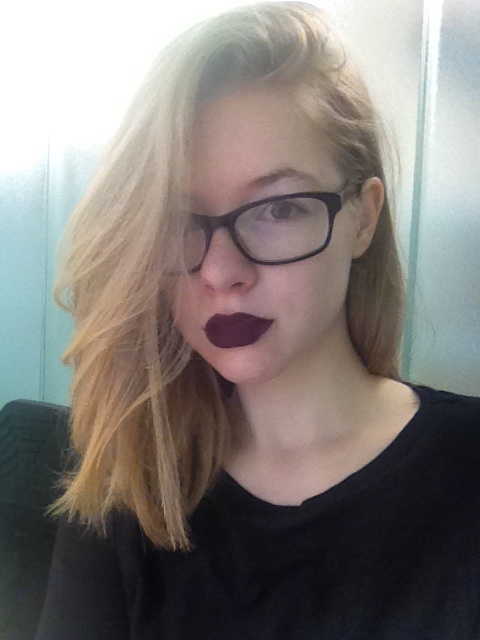 This dark lipstick is so cool for you! Nice lip colour and hair. Here's my question: What do you want for Christmas? Latest post: BOOTS FROM $0.99! Looking so pretty! Love the lipstick. Question: what's your favorite city? Love your dark lipstick. What did you ask for Christmas ? You look amazing in that lip color! Would love to hear how long you've been blogging for and how you got into blogging. Can't wait to read your Q&A and learn more about you! My Q: What is your inspiration in life? Can't wait to read your answer!